In summer 2013, she was diagnosed with cervical cancer. Upon countless surgeries, chemotherapy and all other failed attempts to contain the cancer, she still continues to fight for her life. Currently hospitalized, we are hopeful that the alternative / holistic medication, in which we are raising funds for, will increase her chances of survival, and return her back to health. Since losing her job, insurance payments have been covered with savings, which have been exhausted. 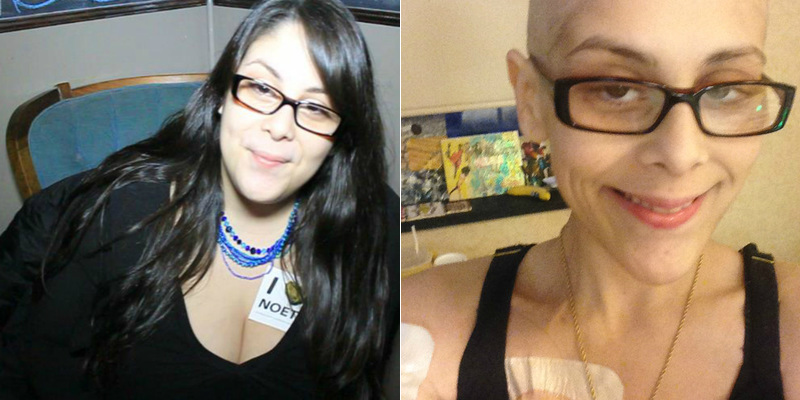 Visit www.noecancerfund.com now to see all episodes of NOE TV. I've been asked by Nicole's family to perform the eulogy at her wake. But at the request of her family, I can not reveal the wake or burial information. I met Nicole at my last performance at The Bitter End. This upcoming performance will take place hours after her burial. This show is dedicated to NOE. If you want to know where she is buried, and hear stories of our experiences together, I will reveal the information at the show, and WILL NOT publicize online and/or answer online requests for this information. Say "KING ROACH" at the door. 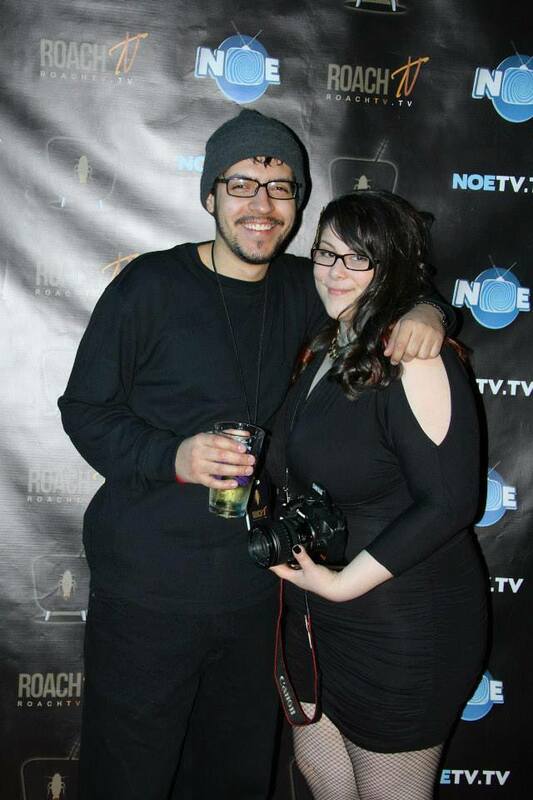 I'm devastated to announce that Nicole "NOE" Morris passed away last night. I wish I had more information to tell everyone, but the hospital won't tell me much more. She was someone who, in a short amount of time, changed my life and the lives of everyone who had the pleasure of knowing her. Her life was her work, and to someone like her, work was being where the action was, camera in hand. We spent countless nights shooting and cutting video, with dreams of being the next big thing on the internet. 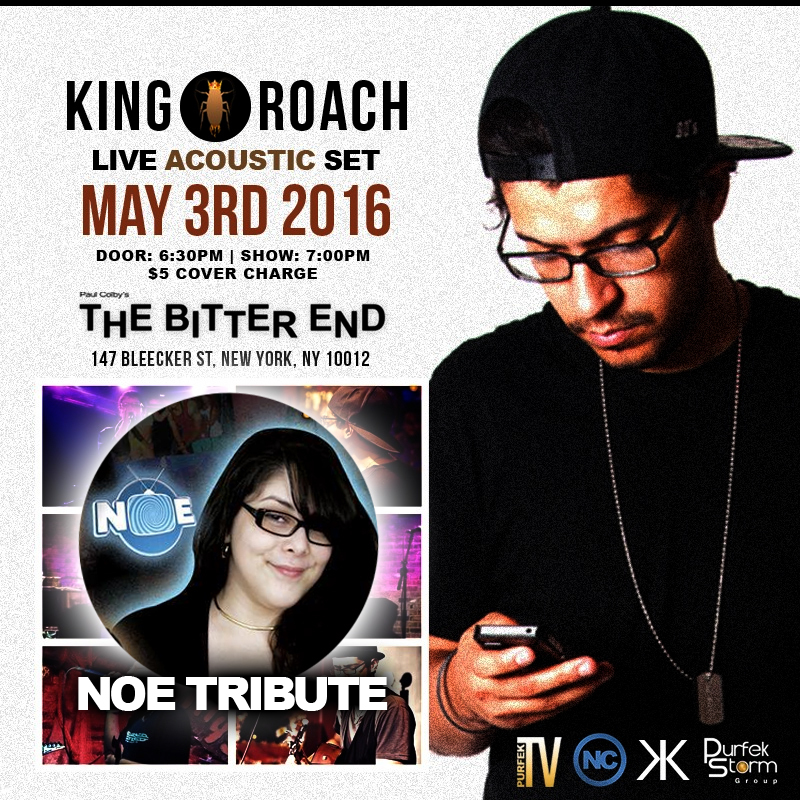 The night I met NOE, she showed up to an acoustic gig I was playing at The Bitter End. She shot and cut a video of my entire performance, and delivered it to me before sunrise. When she was on, she was on. Seldom do you meet someone who can match your creativity and drive, who wants the same success you want, and is willing to go the distance, through cancer, to feel the thrill of closing the deal. We traveled together, we laughed together, we cried together. NOE will always be a part of me. Our bond is eternal. I love you and I'll see you again. Funeral arrangements are being made. I will keep everyone posted. 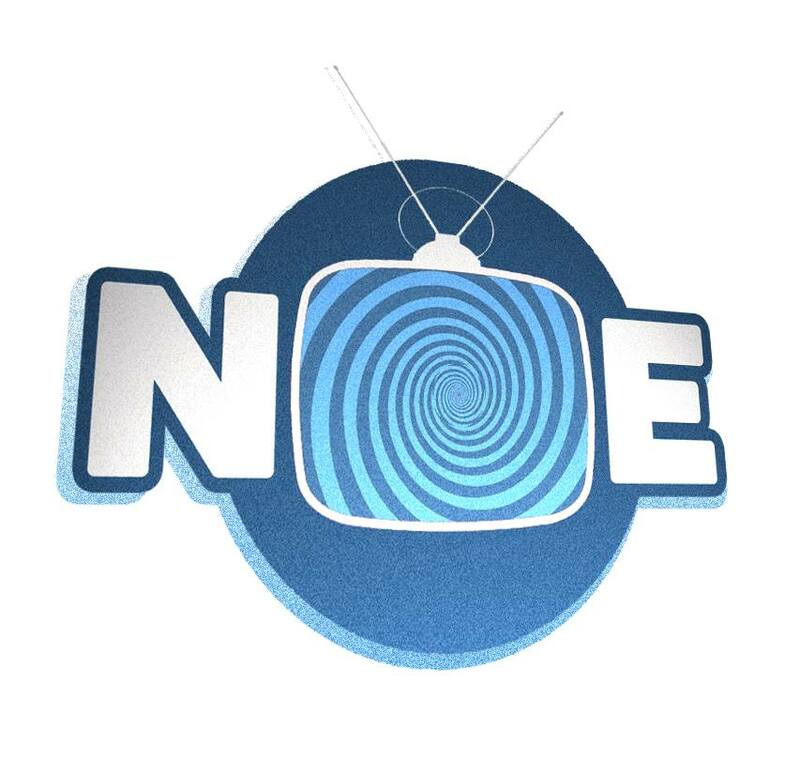 NOE TV episodes will remain online indefinitely. I will continue to add to her site and keep her name as alive as her spirit is within me. The official NOE Cancer Fundraiser aka Sunday Night Screenings Short Film Festival is THIS SUNDAY. All details are located on www.noecancerfund.com and www.sundaynightscreenings.com. Submit your film(s) now and DONATE TO THE FUND. We need all the help we can get. Thank you! This is Alex, aka Roach, close friend of Nicole "NOE" Morris'. 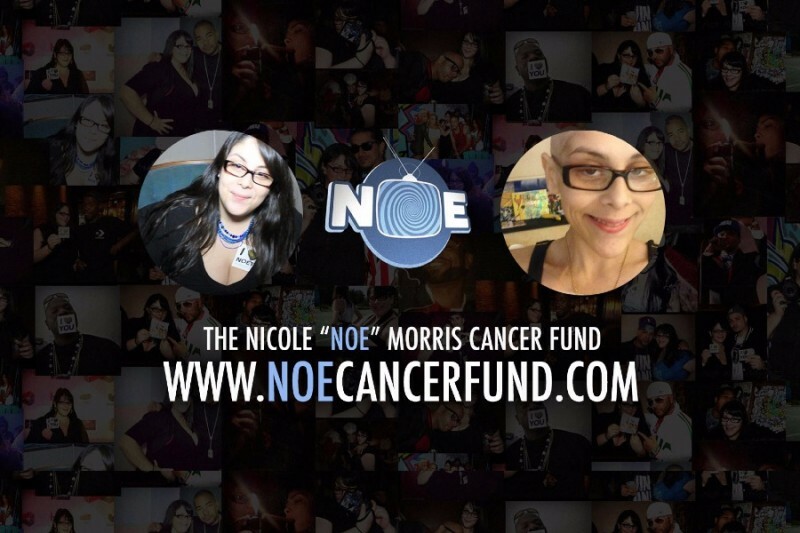 We have officially launched the NOE Cancer Fund and already started receiving donations. We want to thank you all for taking the time out to visit www.noecancerfund.com now and donating your hard earned money to help assist us during this difficult time. All information again can be found on www.noecancerfund.com. We are hosting the Sunday Night Screenings Film Festival on April 24th as an official fundraiser. Filmmakers who are interested in submitting films, visit www.sundaynightscreenings.com now for more information. All proceeds will go towards the NOE Cancer Fund. Any questions feel free to reach out to me on Facebook @ Alex Roach Montanez. Thank you and God bless. Please let us know when arrangements are made . Where and when me and my family will be their. please keep us updated about the funeral, i d definitely want to go. As well as a lot of the people who had the chance to know her... The EAC group which she was part of has a lot of people who want to attend.